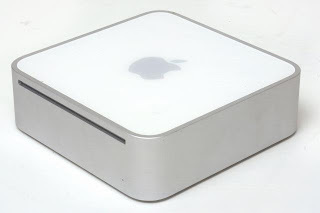 Scoble just discovered he could connect his Mac Mini to his HD TV in the living room. (guess he should have read my blog - my Mini has been connected to my LCD screen for a year now ). Now I’m pissed that it took me so long and I’m pissed at the industry that it just doesn’t get what’s coming and they keep trying to lock me into closed boxes like the Apple TV or the Xbox. Read his full column and recommendation here.